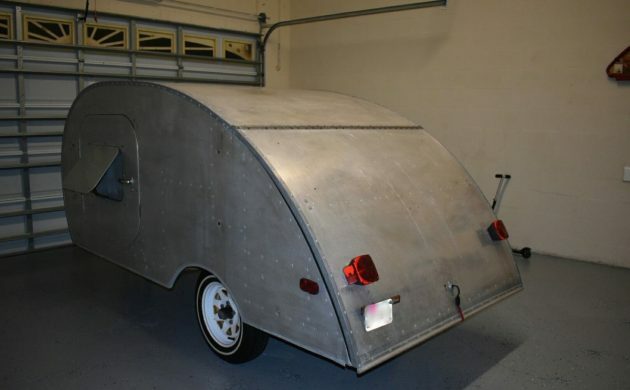 Teardrop campers were very popular in the mid 20th century. 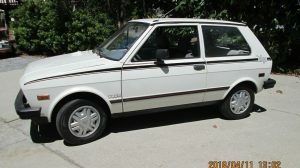 They were light enough to pull behind most family sedans and allowed people to go camping in something besides a tent. Vintage campers have made a big comeback over the recent years and vintage teardrop trailers are no exception. This one is a 1948 Tourette and can be found here on eBay with an asking price of $4,500. Located in Polk City, Florida, the trailer doesn’t have a title (not required in Florida) but shouldn’t be too difficult to title in your area if necessary. 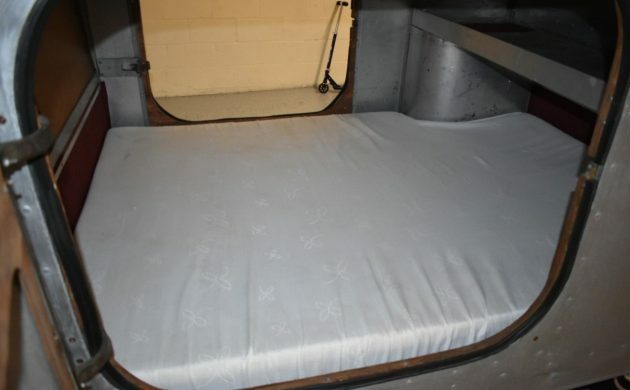 A vintage ad for a similar trailer indicates the “special built mattress” is 6’3″ tall and 5′ wide. You can also see the storage shelf above the sleeping area. 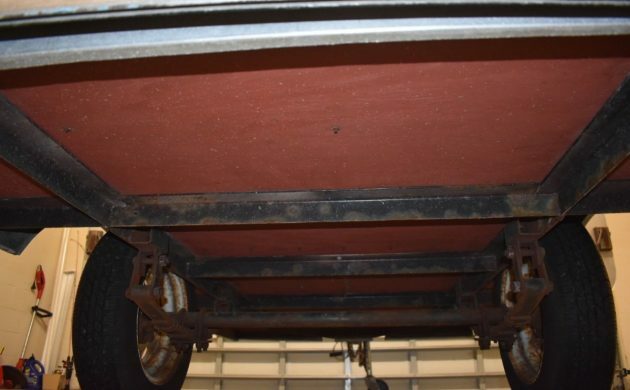 Every part of a trailer this small is engineered for efficiency and to maximize storage. You can get a similar modern version of these trailers, but there is something about the workmanship and quality of the vintage ones. The back hatch has what can best be described as a kitchenette. 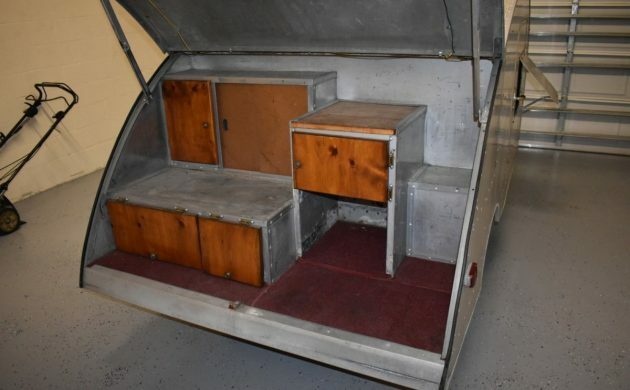 According to the ad, it features a 2 burner gasoline stove, insulated ice box, and water storage. There are also cabinets and space for storage of other items. 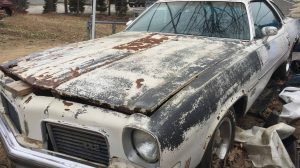 Overall, this is a really neat trailer that looks like a good project for someone. A little TLC and this trailer will be a good companion. Drop us a comment with your thoughts on this trailer. Do you have memories of a trailer similar to this? We’d love to hear the story. In spite of having a cartoonish NACA wing profile, I don’t remember any campers complaning about high wind ops while towing these units. Even at turnpike speeds these trailers seemed to track quite well. It sure beat the 9×9-90 pound umbrella tent we had. Try to put that pig up at age 11. The tent itself probably didn’t weigh that much, but the cosmoline waterproofing must’a weighed 70 pounds. This trailer isn’t far from where I live. Have to go check this one out for sure. Farms campground near Goodfield, Ill. I have seen plenty of front wheel drive car is handling this without a problem. I even saw a mini towing one. Never really saw the attraction in these. Basically tent camping under a hard roof, which is nice, but for this money, I’d get a regular camper if you are pulling something anyway. Especially during inclement weather, and everybody knows, it always rains when camping,,,except in Colorado, apparently. Sounds like it’s time to convert yo’ sLead Wing into a trike conversion, Howard. There’s an 82 year old sLed driver that spends more time towing his mini teardrop than he spends at home. We won’t mess with him. He’s still up on two wheels. Yahhh der hey. Know’d ya did.Don’t blame you. As for myself… I KNOW I’s gettin’ soft. Mebbe another Pan Head. Not many other campers at 800# or so for towing. Low profile doesn’t affect gas mileage as much. Even a basic popup camper is over 1500#. You will note that I refrained from making that comment in my post since my mutterings and other uncontrollable comments usually center around school board meetings and politics. I did think it though. We had a pilot that was afflicted and would cringe when he was talking to ATC. Helluva pilot though. 🎵When ya gonna buy me a canned ham, I been waitin’ so long🎵 Travel trailers have gotten expensive, and we’re I to get one, it would be a canned ham. Little Vintage Trailer is one of my favorite sites People put a lot of thought and work in to refurbishing them. I’m fond of Shastas having spent oilfield time in them. I like the look and the idea of these, but I’d feel like I was in a coffin inside one of these. Yup, sold. But, this wen for quite a fair price. The newer ones are a lot more costly. Of course, they are laid out a little differently and have quite a few more ammenaties. (Check my spelling.). I wish I could afford one. I’ve always liked them. There’s a new kit version being brought around to boat shows that is made of wood. Looks great all varnished up, like fine furniture, and just as cramped but i think i’d go for this and paint it nicely. than just a bed..?This would look great being towed by a classic. I wonder how many times it was actually used?Really cool mini trailer..! Growing up, our vacations were always spent camping, as we couldn’t afford anything more. But despite the reason behind it, those are some of the best memories of my life! My Dad had bought an old Army surplus tent, heavy canvas I tell you. We kids slept outside on the ground in our old sleeping bags, and preferred it that way! 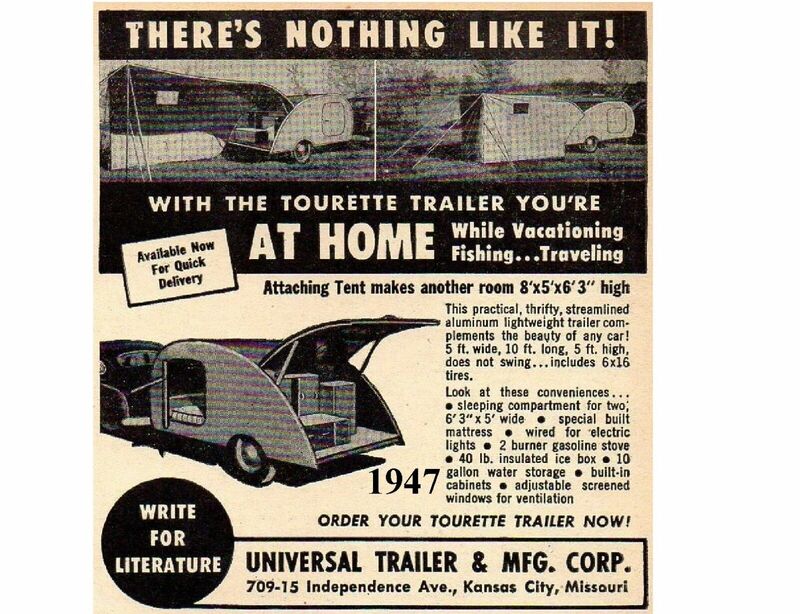 We’d often coordinate with aunts & uncles to camp together, and one of them had a teardrop trailer. In fact, he still has it. We thought that was fancy camping. I can’t remember what he pulled it with though, although I know at the time he had a 70’s VW Bus and a Ford Model A kit car. 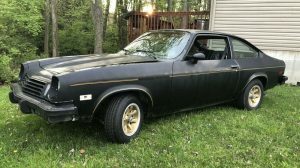 I think that was on a Pinto platform! Seems like most kids these days don’t have any appreciation for camping, going on Snipe hunts, fishing to catch dinner, and bathing in the lake. Camping to them is in a giant motor home in a paved “campground”. Anyway, this teardrop obviously brought back fond memories of growing up, and that’s so cool! while towing a johnboat on a small trailer. for me. Wouldn’t trust even a new one. 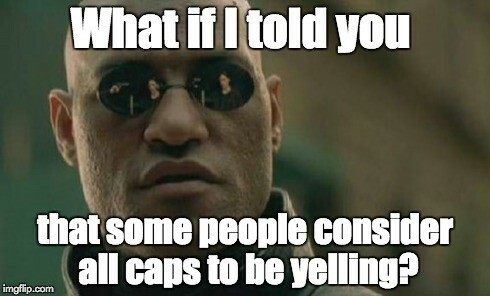 would be banned for good. Then motoring would be made great again! The weak shafts on the Toronado are something that the first generation got known for. Granted not when they first came out. I used to pull a 1500-2000# with my Dodge Caravan and had no issues whatsoever when it came to towing. However they are poor when it comes to launching boats due to weight distribution on ramps. Having spent most of my life in upstate NY, in VA now, front wheel drive in the snow rocks! 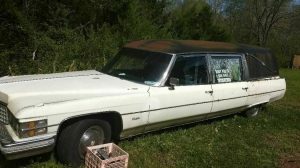 I haven’t needed snow tires since my old Caddy in the 80s. I’d love something like that. Perfect for travel with the dogs and field events. Unfortunately they are out of my budget these days. David6, is that thing for sale? I know they frown on that kind of stuff here, but if we could work out a deal, i’d pay the “listing fee”. Give me your thoughts in a response. If it is for sale, we can work out a way to talk. Anyway – imagine (frm the 2nd pic above) a ‘screened walk/hang out rm’ on both sides? 2B stored under a ‘right sized bed’ (rather than an “all-the-fl-bed”). I’m old enuff I can’t use the ten man tent (sleep on the ground comfortably) any more. I used to have that as base camp (near the parking lot) & a bivy bag (combined sleep-bag/mosquito net/rain fly) & day pac to truck out for a day or 2 higher up, around the lake, or whatever solo trek desired. All I need now is base camp’n this’ll do fine even w/my frnt wheel drive econobox. I think I would sooner pull in a back edge of a Wal-Mart . Or other large store with my minivan and recline the seats all the way to sleep overnight. Then in the morning go into the store bathroom and wash and use the toilet then hit the deli dept. and cold drink dept. for a quick breakfast or to a fast food place and save campground fees. Why mess with dishes and a dinky gas stove. If touring an area your not really that much staying in the campground anyway. 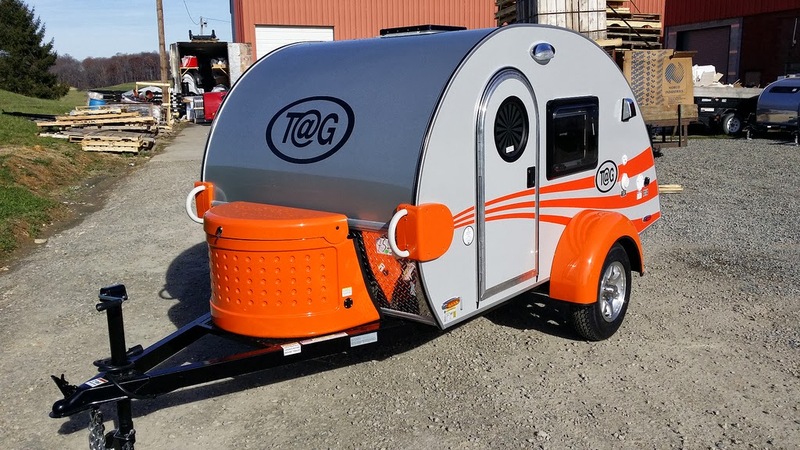 This would be easy to build on a good quality utility trailer chassie. There are no compound angles just flat sides and a rap around roof. In fact you could make it so the whole side is a pull out there by leaving room for a small kitchenette. 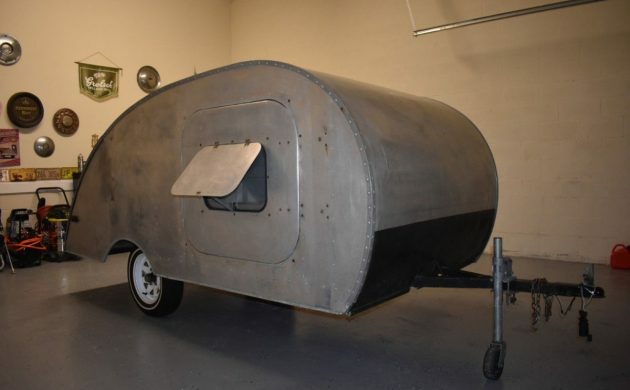 I have a small holiday trailer that is on a ten foot tent trailer chassie I built the body myself sleeps three and is 6.5 ‘ tall inside so you can stand up ( well I can) 6.5’ wide too so you can stretch out ( well I can ). It weighs about 1200 lbs loaded and we pulled it with a dodge caravan with no problem. Then with a Chevy blazer. Now with a trail blazer. Pulls like nothing. It is set up for full amenities with sink, stove, and fridge as well as counter top and cupboards. We currently don’t have applinces installed as we do our cooking in a tent room. There was a time when bigger was better but now I’m seeing a trend towards smaller trailers again I guess fuel cost have a lot to do with that. Camping is supposed to be about going back to basics and enjoying the great out doors not bringing a full sized house with you. JMO.